Today is “Heroes Day,” in Kenya, in Swahili, heroes means “mashujaa,” so it is also called Mashujaa Day. 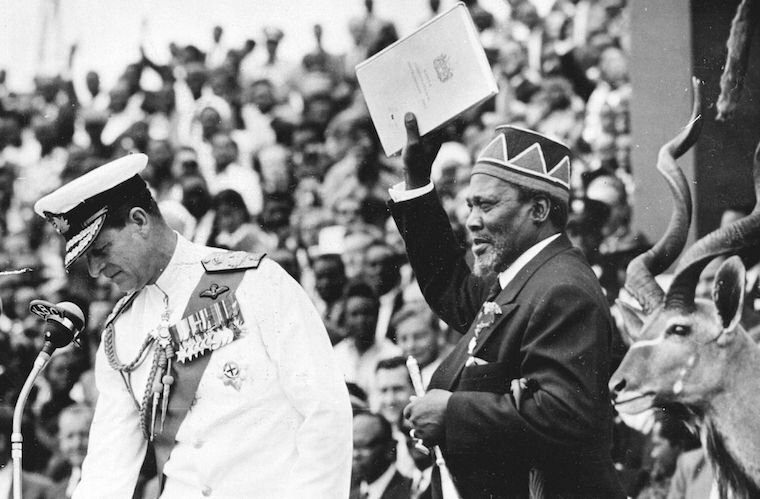 It was originally called “Kenyatta Day” in honour of Kenya’s first president, Jomo Kenyatta, but the name was changed after the 2010 constitution was adopted in an effort to expand the day’s meaning from honouring only those who took part in the independence movement from Britain to honouring all of Kenya’s heroes. The day’s original background was the arrest of Jomo Kenyatta and five other independence movement leaders by the British colonial government on October 20th, 1952. 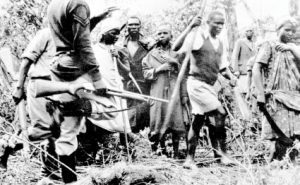 They were accused of holding membership in the revolutionary Mau Mau Society and are affectionately remembered as the “Kapenguria Six” based on the detainment centre where they were kept. Their arrest was considered such an important moment in the struggle for freedom from foreign rule that October 20th became a national holiday. Jomo Kenyatta (born on October 20 1891) was a Kenyan anti-colonial activist and politician who governed Kenya as its Prime Minister from 1963 to 1964 and then as its first President from 1964 to his death in 1978. He was the country’s first indigenous head of government and played a significant role in the transformation of Kenya from a colony of the British Empire into an independent republic. Ideologically an African nationalist and conservative, he led the Kenya African National Union (KANU) party from 1961 until his death. The Mau Mau Uprising (1952–1964), also known as the Mau Mau Rebellion, the Kenya Emergency, and the Mau Mau Revolt, was a war in the British Kenya Colony (1920–1963). The definition of the term Mau Mau has been contentious. The Akamba people say the name Mau Mau came from ‘ Ma Umau’ meaning ‘Our Grandfathers’. The term was first used during a pastoralists revolt against de-stocking that took place in 1938 led by Muindi Mbingu during which he urged the colonists to leave Kenya so that his people (the kamba) can live freely like the time of ‘Our Grandfathers’ (—Twenda kwikala ta maau mau maitu, tuithye ngombe to Maau mau maitu, nundu nthi ino ni ya maau mau maitu). Some have argued that it is an acronym for Mzungu Aende Ulaya Mwafrica Apate Uhuru. Others have claimed that it was coined from the term UMA UMA, a communication code used by the guerrillas. 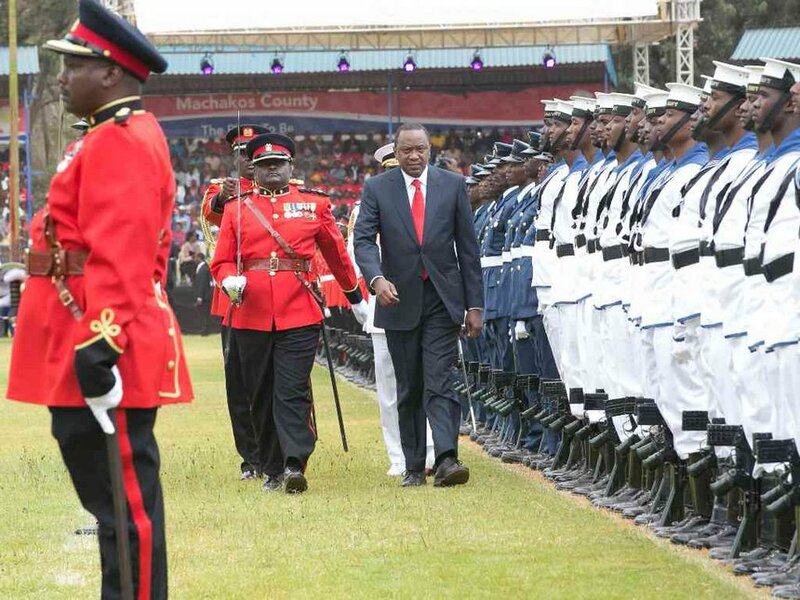 Mashujaa Day is typically celebrated with an event at Nyayo Stadium in Nairobi. 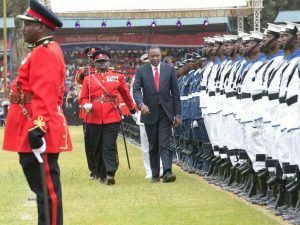 A military parade takes place with troops wearing colourful uniforms reminiscent of the red, black, and green on the Kenyan flag.